Les Chansonniers, Paris, France. Travel information. Save up to 48% by booking online! 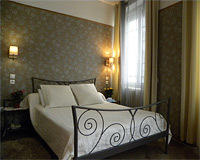 The Hotel "Les Chansonniers" is in the 11th district of Paris. Aéroport Paris - Charles de Gaulle - 18.6km.